Cn. Domitius Cn.f. Cn.n. Ahenobarbus was one of the moneyers for the year 116-115 BC. 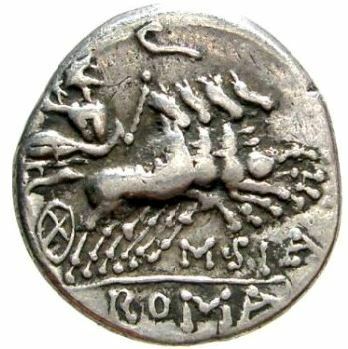 He struck coins jointly with his colleagues for the year, M. Junius Silanus and Q. Curtius, but is not otherwise known. The family named Ahenobarbus ("Bronze-Beard") was so called from the red hair which many of its members had.